Quincy, Talia, Chloe, and Jules met in the early nineties after answering a roommate ad for a Manhattan apartment. Despite having little in common, the women became fast friends. A decade later, their lives have diverged, though their ties remain strong. Quincy, a Midwestern introvert, is trying to overcome a set of tragedies by hunting for the perfect home; Talia, a high-energy Brooklyn wife and mom with an outspoken conscience, is growing resentful of her friends' greater financial stability and her husband's lack of ambition; timid Chloe, also a mother, is trying to deflect pressure from her husband, a hedge fund manager, to play the role of trophy wife; while Jules, a fiercely independent actress/entrepreneur with a wicked set of life rules, is confronting her forties alone. When Jules gives her new boyfriend the inside scoop on the real estate gem Quincy is lusting after, and Talia chases a lucrative job earmarked for Chloe, the women are forced to wrestle with the challenges of love and motherhood. Will their friendships and marriages survive? And at what price? 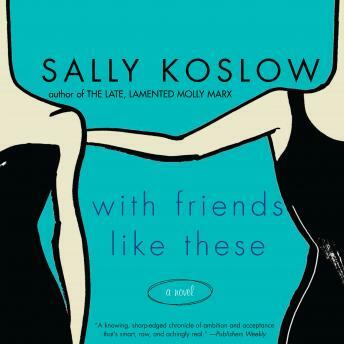 Punchy yet tender, a high-five to sisterhood, this book will hit an emotional bull's-eye for anyone who has had - or been - less than a perfect friend.